Five years ago I received a magazine called The Bleed 02. A collaborative effort from illustrators, photographers, writers and poets based on one main narrative. Years on and this incredible magazine has been turned in to a novel by author, Daniel James and is currently being crowdfunded through Dead Ink Books. I’ve been lucky enough to take a peek at the first couple of chapters. Here are my thoughts. The Unauthorised Biography of Ezra Mass is a novel of three separate threads. There is Daniel’s research into Ezra Maas (including news articles, transcripts etc. 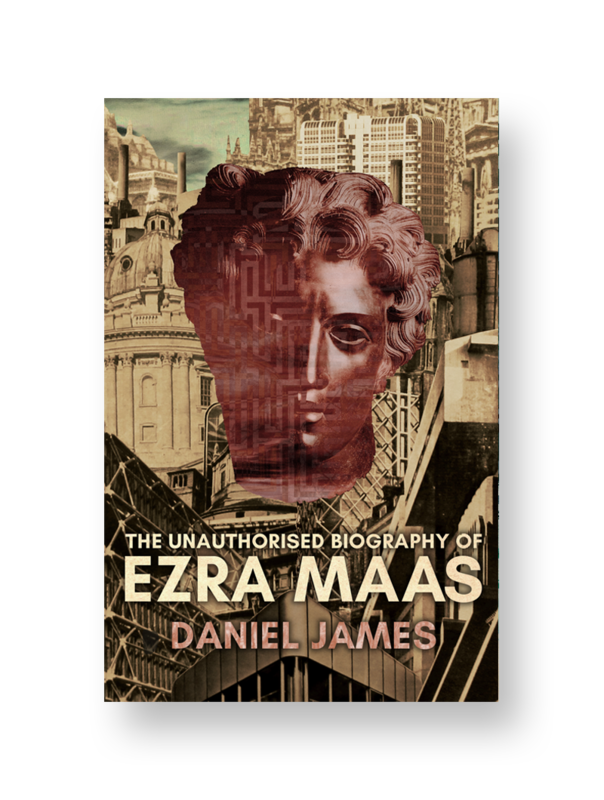 ), chapters from Daniel’s biography of Ezra Maas and there are also editorial notes from the anonymous person who put the book together after Daniel James was unable to. World famous artist Ezra Maas is the ultimate man of mystery, a ghost no one ever managed to catch on camera. A child genius who lost his entire family as an eight-year-old child, in two separate accidents in one day. Although intelligent and talented at a young age, only while struggling with the loss of his family does his true artistic talent shine through. But unlike most, he shies away from the limelight, uncomfortable with the attention and becomes a recluse. Or does he? Every newspaper story about Maas has a story to refute it somewhere else. Every recording of his voice sounds different, every one of the (very few) photographs look like a different man. Years after he announced he was to hide himself away completely until his latest works were finished, his family eventually had to admit that the most famous artist in the world was missing…possibly dead. Then there is Daniel James, the divisive non-fiction writer who is both praised and condemned for his blending of fact and fiction when writing biographies. After his career begins to waver he receives a mysterious call informing him there is money in his account and he is to write to a biography of Ezra Maas. It’s barely a question, it’s fact. Feeling a new lease of life and a return to fame and fortune, Daniel James starts researching the book that will change his life forever. The Bleed 02 was a hugely ambitious piece of work that I thoroughly enjoyed. The writing is delicious and you simply sink into the narrative, never quite sure what is ‘fact’ and what is fiction. This early look at the metamorphosis into The Unauthorised Biography of Ezra Mass has got me chomping at the bit to receive the final book. If the extract I’ve read is anything to go by I’m in for a massive treat. If you’ve not got involved in crowdfunding books yet, this is your chance to get involved in something truly special. 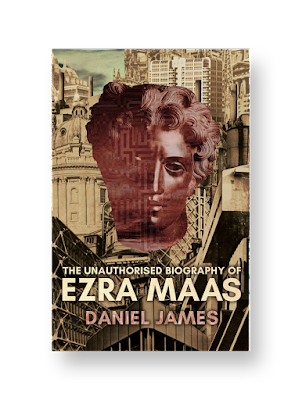 Order your copy of The Unauthorised Biography of Ezra Maas by Daniel James from Dead Ink Books here.